An exhibition will take place concurrently with the Global Gypsum Conference. All coffee breaks will take place in the exhibition area, as well as the Welcome Party. The exhibition area is situated directly next to the conference hall, and is open throughout the conference. The exhibition booths are allocated on a strictly 'first-come, first-served' basis. Each shell-scheme booth measures 2x3m, equipped with all standard fittings. Due to high demand you are strongly advised to book your exhibition stand early. 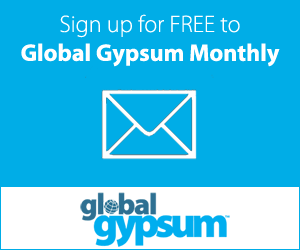 The Global Gypsum Exhibition layout will be posted here closer to the conference.